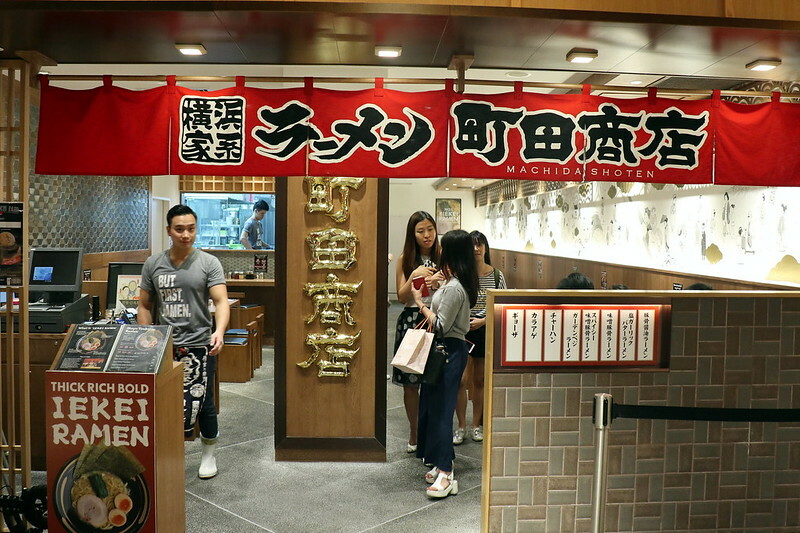 But what Machida Shouten is really proud of is its "Iekei Ramen" or home-style ramen. 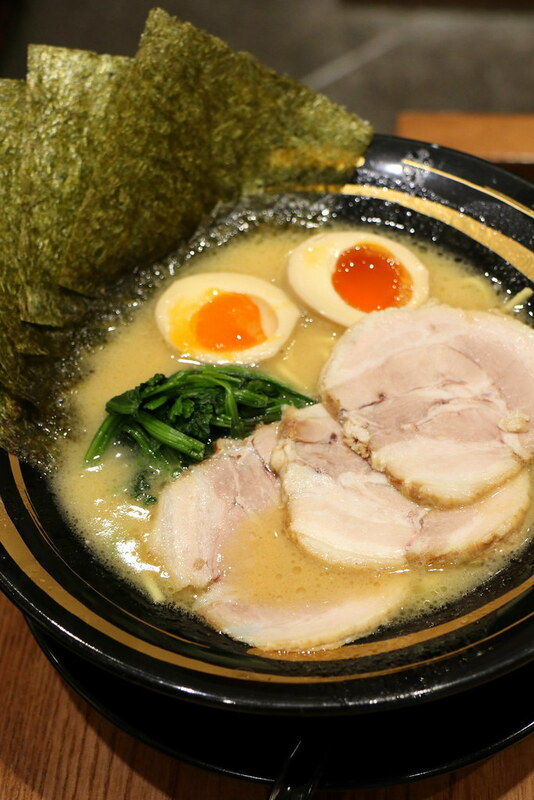 The chain is from Kanagawa prefecture, so one of its signatures, the Shoyu Tonkotsu Ramen (S$14), is a Yokohama-style Iekei ramen featuring both pork bone broth and soy. It's so rich it will coat your lips and tongue with a sticky layer. Here at the Singapore branch, we have exclusive items like the Miso Tonkotsu Ramen (S$16) and the Garden Veggie Ramen (S$15). 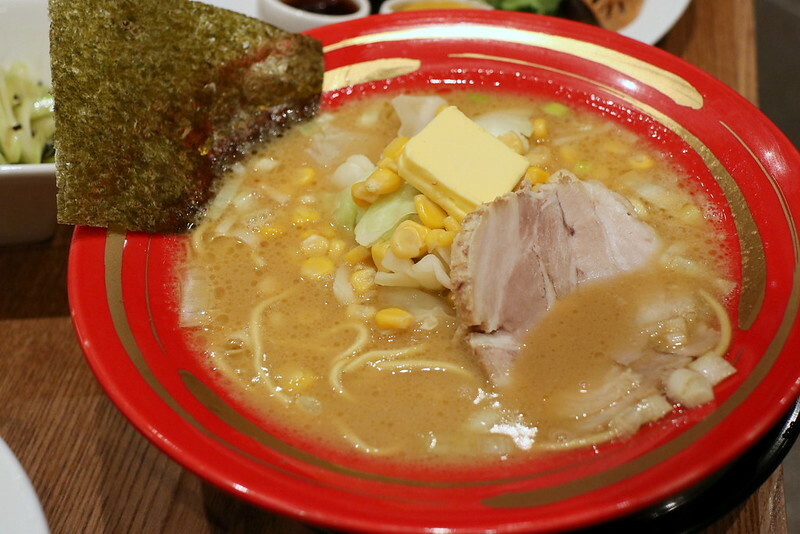 The miso is a blend of red and white miso, and the dish is topped with sweet corn, cabbage and butter for extra richness. The vegetarian ramen is tremendously colourful with 12 different vegetables in one bowl. 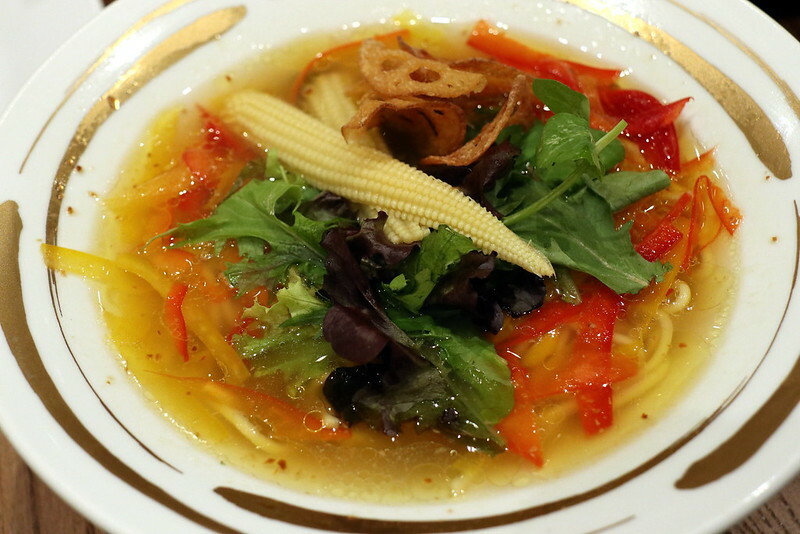 The broth is made using seven types of vegetables and fried garlic oil is used to enrich the flavours. You might wonder if it's weak in comparison with the robust bone broths, but you'll be surprised; the soup although "cheng" (light) stands well on its own with natural sweetness and flavour nuances from all those vegetables. 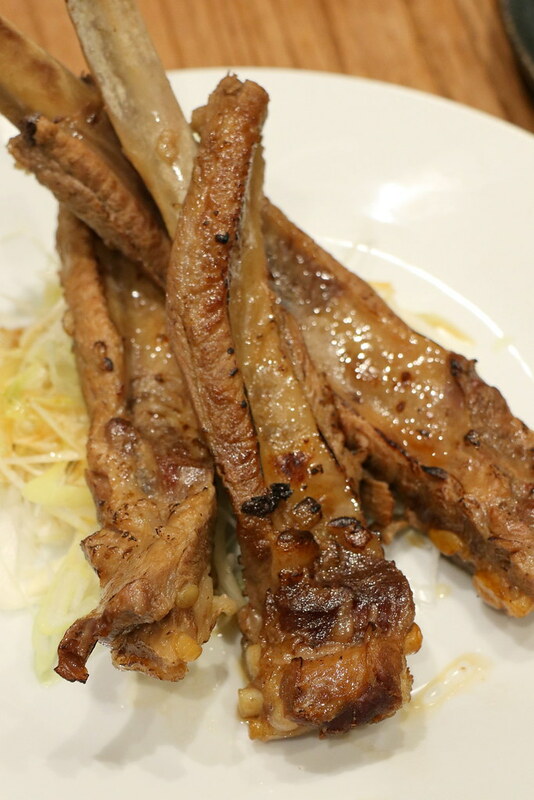 The other thing I absolutely adore is the Seasoned Iberico Spareribs (S$14). 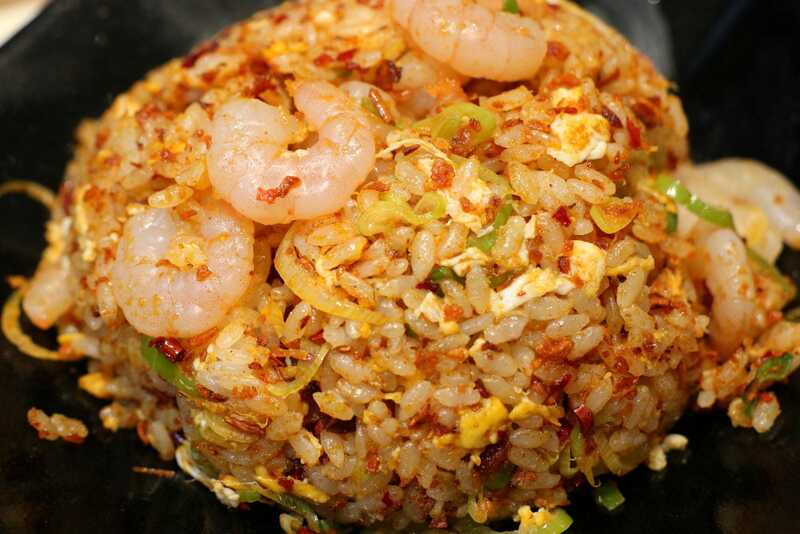 They have been boiled until tender and then seasoned with Machida Shouten's original sweet soya sauce. I would so come back just for these tender and delicious ribs. 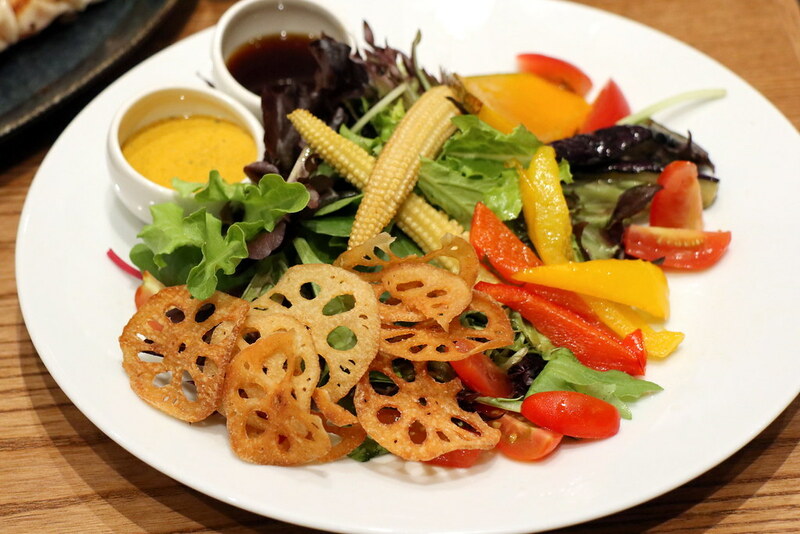 The Garden Salad (S$9) comes with homemade curry dressing and non-oily oba leaf vinegar. Look at all the renkon (lotus root) chips. I thought we would all like the curry dressing but it turns out the vinegar works better. 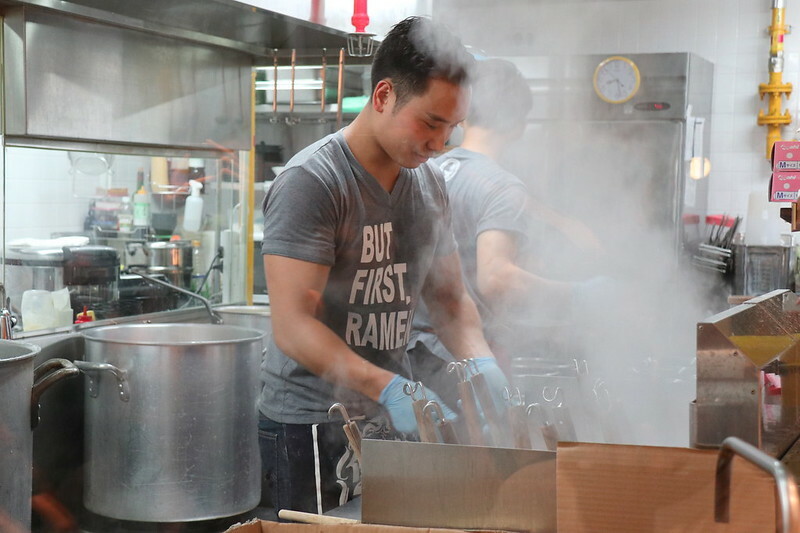 You can watch the chefs hard at work in the open kitchen. Machida Shouten which began just in 2008, now has 45 outlets in Japan. Singapore is its first overseas outlet but it consults with over 400 franchise restaurants in China, the Philippines, USA, Italy and Thailand. Many thanks to Machida Shouten for the invitation. Photos taken with the Canon EOS M5 kindly loaned by Canon Singapore.